Here is the map of our area of coverage. As you can see it is a large area that we are trying to cover with this neighbourhood watch. 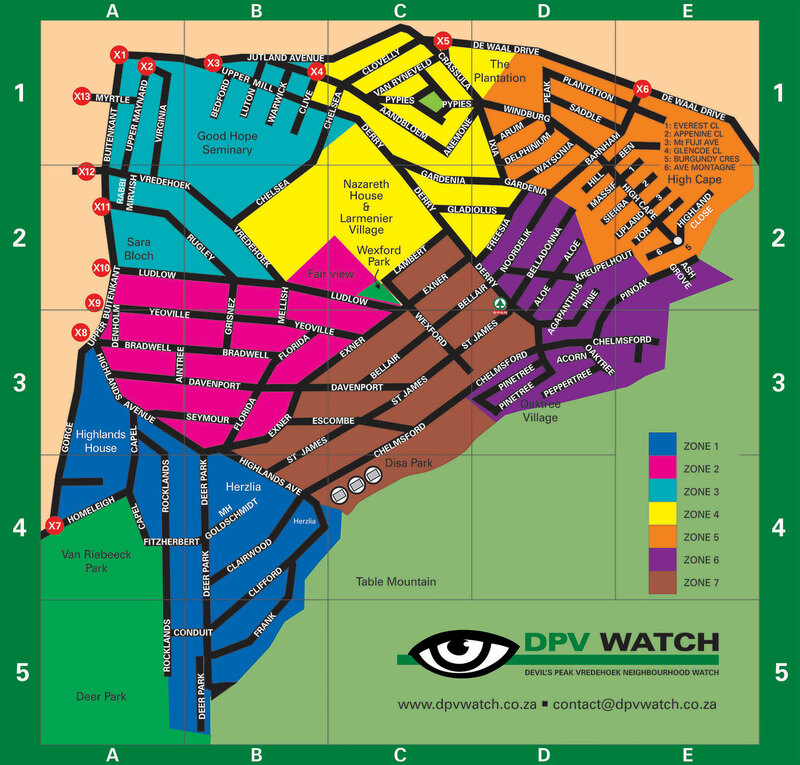 The area encompasses the entire suburbs of Devil’s Peak and Vredehoek. In order to manage this area we have subdivided it into 7 different zones. Each zone has its own zone leader who will arrange group walks and chat to prospective members. Have a look and see which zone you are in.